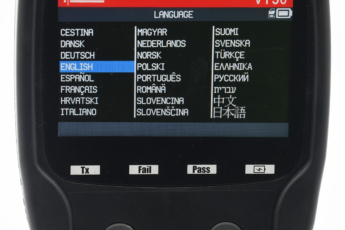 Livonia, Michigan – The December 2018 software update is ready for users to download to their TPMS tools through WebVT software. Acura MDX and RLX; Audi Q7; Bentley Bentayga; BMW 2-series, 3-series, M2, M4, M5, X5, X6; Chevrolet Impala, Silverado; Fiat 500L; Genesis G80, G90; Honda HR-V, Pilot; Hyundai Elantra, Elantra GT; Infiniti Q50, Q60, QX80; Jaguar E-Pace, I-Pace; Kia Niro, Rio, Stinger; Lamborghini Aventador, Urus; Land Rover Discovery, Discovery Sport, Range Rover, RR Evoque, RR Sport; Lexus ES, GX, LX, RX-Series; Lincoln Continental; Maserati Ghibli, Quattroporte; Mazda CX-9; Mercedes AMG GT, B, C, CLA, E, GLA, GLC, GLE, GLS, S, and SL-Class; Mini Clubman, Countryman; Mitsubishi Outlander; Nissan Altima, Frontier, Leaf, Murano, NV, NV200 Series, Rogue, Rogue Sport, Sentra, Titan, Versa; Rolls Royce Cullinan, Dawn, Ghost, Phantom, Wraith; Subaru BRZ, Forester, Impreza, WRX, Legacy, Outback; Tesla Model S; Toyota 4 Runner, 86, Camry, Highlander, Land Cruiser, Prius, Sequoia, Sienna, Tacoma, Tundra, Yaris; Volkswagen Beetle, Passat. 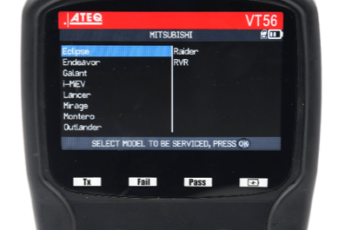 Alligator Sens.It, Schrader Performance EZ sensor, Huf IntelliSens, Hamaton U-Pro Hybrid/U-Pro Hybrid 2.0, Mobiletron, Orange Universal, BWD Standard QWIK sensor, NAPA QWIK, Steelman Select, PDQ Programmable, MAX T.O.T.A.L, Dynamic Pro-Select, and Dill 5001. 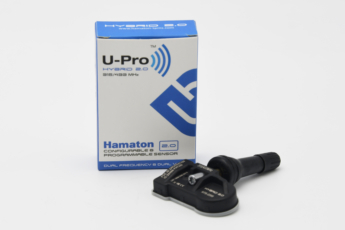 New U-Pro Hybrid 2.0 Sensor added. 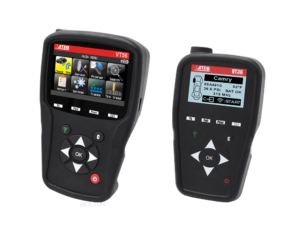 Watch the video to learn how to update your TPMS tool’s software.